HTB Creations: Wishing You a Great Year with Trendy Twine! Hello everyone! It's my turn to post over at Twine It Up! with Trendy Twine today. 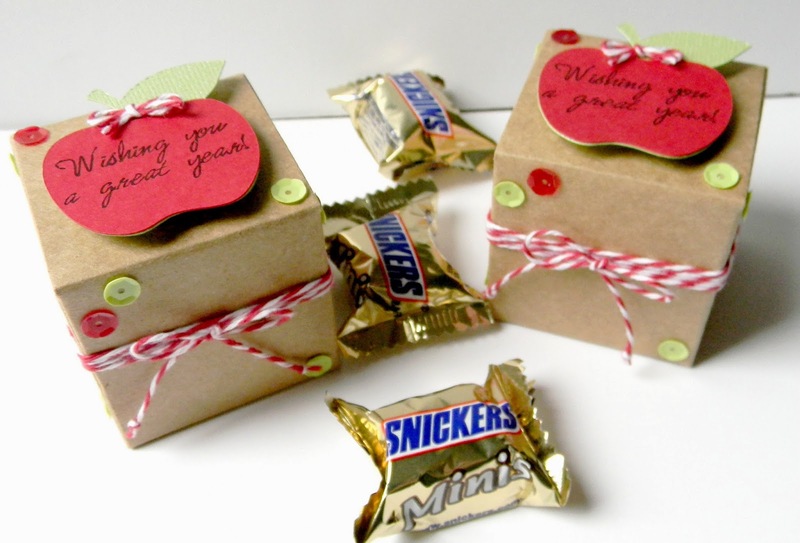 I made some cute little treat boxes for back to school. My kids went back last Monday--I think that's way too early! 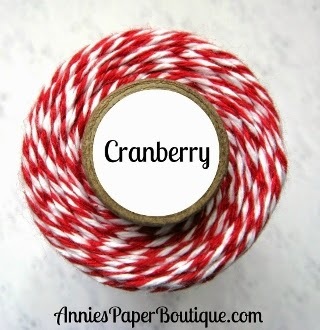 I'm also using the fabulous Cranberry Trendy Twine--a great color for those school projects. I wrapped my Cranberry Trendy Twine around the box a few times and tied a bow. Then I glued some fun Doodlebug Sequins in all the corners. To finish it off, I pop dotted a die cut apple stamped with the sentiment to the top. These would be great for kids or teachers. 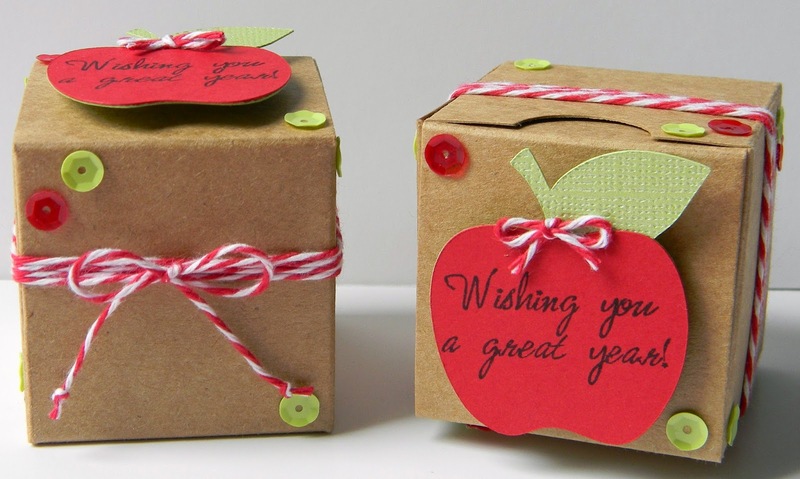 Be sure to visit the Trendy Blog for more great back to school projects and a close up of my apple. And you can join the Twine It Up! with Trendy Twine Facebook page for more fun. Such a fantastic idea for a back-to-school treat, Helen. You always do such a great job decorating the packaging. Totally cute and fun!! Awesome idea! !